‘Station 10’ was part of the art route Path of Suffering 2013. The route was a re-interpretation of the Christian idea of ‘The Stations of the Cross’. In Station 10, Jesus is stripped of his garments: “They part my garments among them, and cast lots upon my vesture” (Psalms 22: 18-19). For my re-interpretation I photographed my skin and used Google Images to search for images that corresponded to my naked body. I created a large database of images and it was striking to see the number of disturbing images that Google displayed. 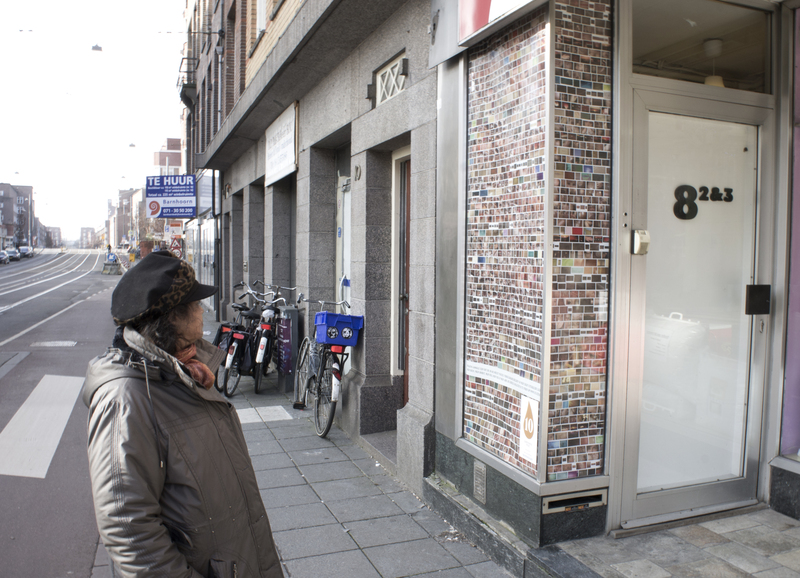 The work was on display from 13 February to 30 March 2013 at a shop window at Jan Evenrtsenstraat 6.